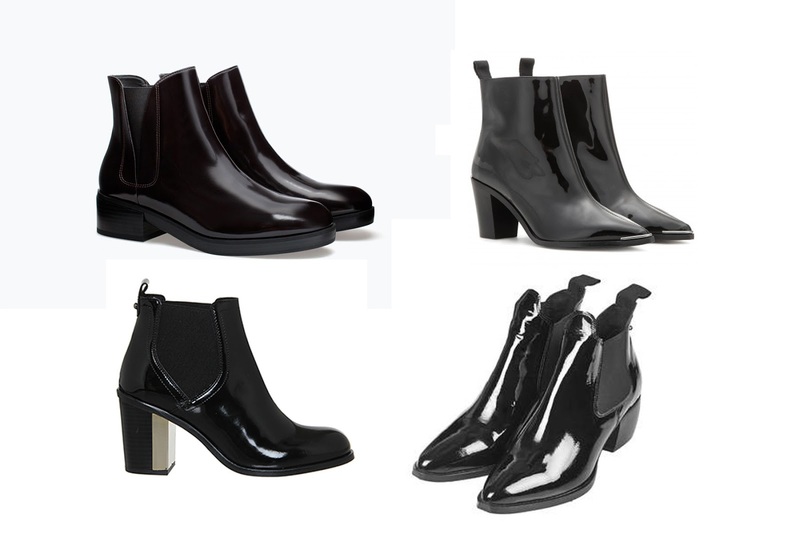 Carrying on with my autumn fashion favourites posts, next on my list is patent boots. Black ankle boots are my crack - ok maybe that is somewhat of an overstatement - but I really like them ok? I currently own four pairs but this season I thought I would shake it up a little bit by going patent. I went for a pair from M&S (ahem..I also got them in burgundy...) but I did some searching over the internet for some other lovely boots that have caught my eye. Most are from the high street but one pair is from my ultimate favourite high end brand, Acne. Swoon. The rest of my autumn fashion favourites will be coming up on my blog but for a sneak peek they are all featured in my YouTube video.